Three experts drew attention to the upcoming fourth and final Nuclear Security Summit to be held in Washington on March 31-April 1, 2016 and what Congress can do to strengthen this effort. More than 50 heads of state will consider the actions taken by countries (e.g. closed facilities, opened centers of excellence), and decide on how to continue to counter the threat of nuclear terrorism in the wake of the summits. Almost 2,000 metric tons of nuclear materials that could be used in nuclear weapons—highly enriched uranium and plutonium—are spread across hundreds of sites in 25 countries around the world. 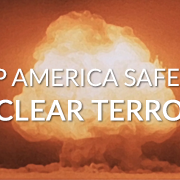 A significant quantity of nuclear material is not well secured and vulnerable to theft, and recent incidents at nuclear facilities demonstrate that governments must do more to secure these materials and keep them out of the hands of terrorists. All panelists anticipate that this nuclear security summit will be the last and that participating states will need to devise means to continue the nuclear security review, monitoring, and reporting function provided through the Summit process. Noting that Congress decreased the nuclear nonproliferation budget since last year, and that 8,500 sites need enhanced security, speakers suggested using the oversight role of the Nuclear Regulatory Commission to examine nuclear forensics, radiologic sources, and best practices, as well as increasing the efforts to protect against cyber security, among others.